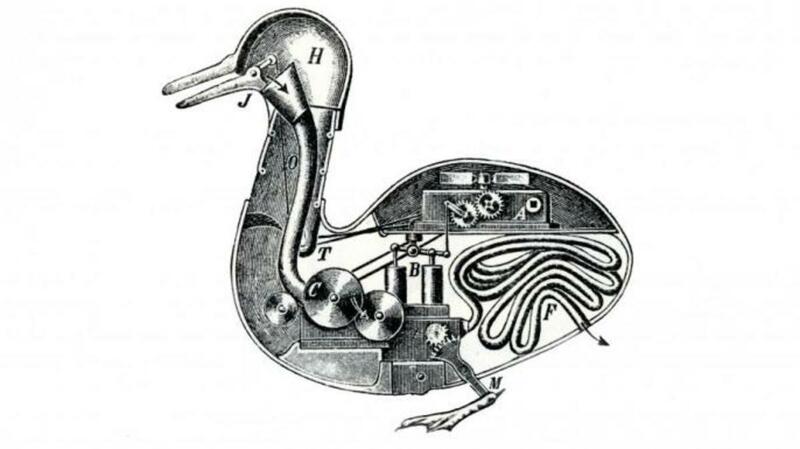 From Leonardo Da Vinci’s android to a French-made artificial duck, learn more about seven early mechanical wonders. Leonardo Da Vinci wrote extensively about automatons, and his personal notebooks are littered with ideas for mechanical creations ranging from a hydraulic water clock to a robotic lion. Perhaps most extraordinary of all is his plan for an artificial man in the form of an armored Germanic knight. According to Da Vinci’s sketches of the key components, the knight was to be powered by an external mechanical crank and use cables and pulleys to sit, stand, turn its head, cross its arms and even lift up its metal visor. While no complete drawings of the automaton exist today, evidence suggests that Da Vinci may have actually built a prototype in 1495 while working under the patronage of the Duke of Milan. 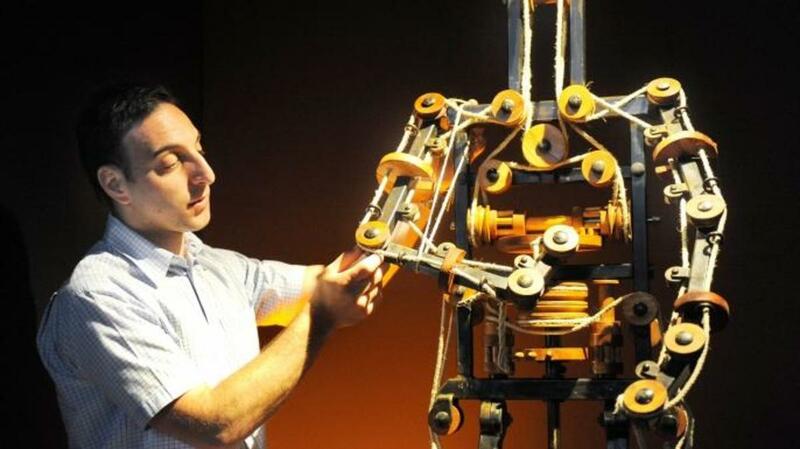 In 2002, NASA roboticist Mark Rosheim used Da Vinci’s scattered notes and sketches to see if he could create his own version of the 15th century automaton. The Rosheim knight proved fully functional, suggesting that Da Vinci may very well have been a robotics pioneer. The 16th century “mechanical monk” may have been the result of King Phillip II of Spain keeping up his end of a holy bargain. According to legend, Phillip II’s son and heir suffered a head injury, and the King vowed to the heavens that he would deliver a miracle if the boy were spared. 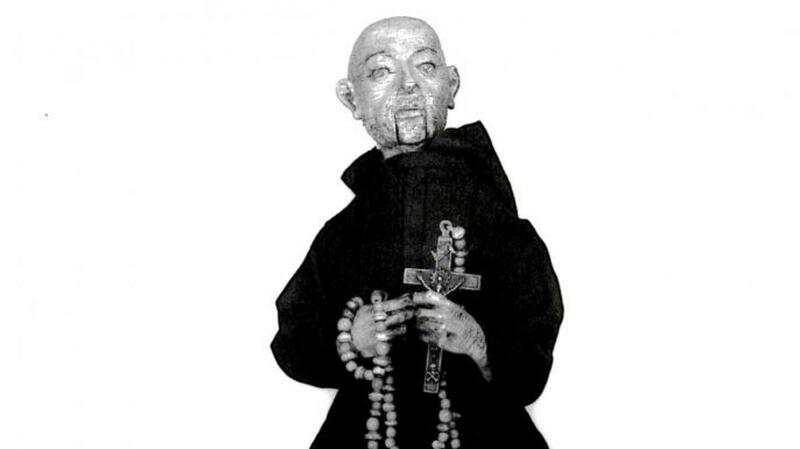 When the Prince recovered, Phillip II commissioned a clockmaker and inventor named Juanelo Turriano to build a lifelike recreation of beloved Franciscan friar Diego de Alcalá (later Saint Diego). Completed sometime in the 1560s, Turriano’s 15-inch-tall automaton is powered by a wound spring and uses an assortment of iron cams and levers to move on three small wheels concealed beneath its monk’s robe. Artificial feet step up and down to imitate walking, and the friar’s eyes, lips and head all move in lifelike gestures. Working together, these elements give the impression of a monk deep in prayer. The robot can walk in a square pattern mouthing devotionals, nodding its head and occasionally beating its chest with its right arm and kissing a rosary and cross with its left. 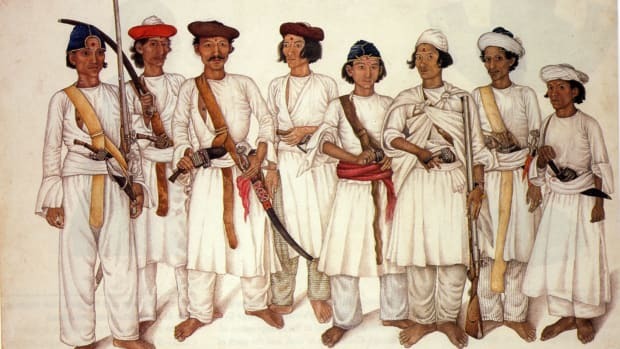 The 450-year-old device is still operational today, and is held at the Smithsonian in Washington, D.C.
Painting depicting Al-Jazari’s floating band. 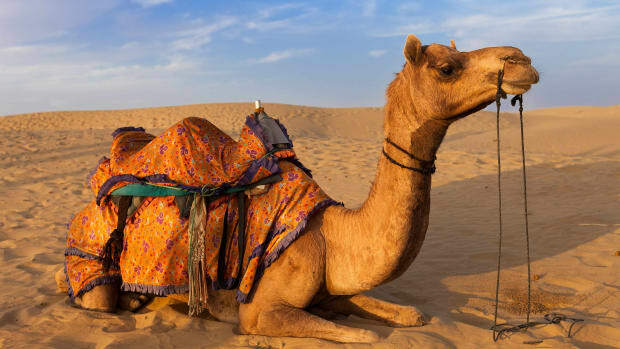 In the 12th and 13th centuries, Arabic polymath Al-Jazari designed and built some of the Islamic Golden Age’s most astounding mechanical creations. 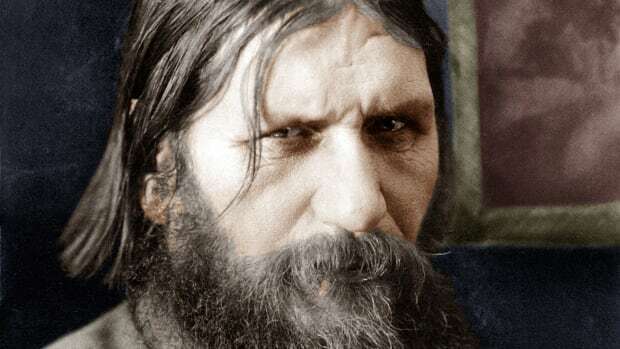 He invented a mechanized wine-servant, water-powered clocks and even a hand-washing machine that automatically offered soap and towels to its user. 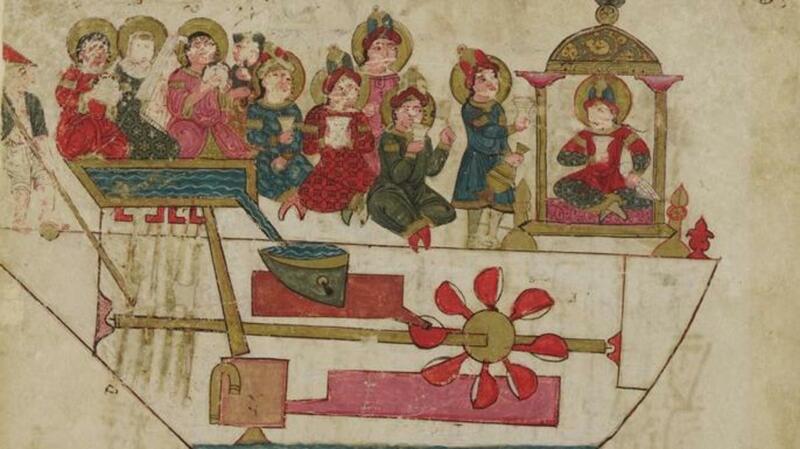 According to his “Book of Knowledge of Ingenious Mechanical Devices,” published in 1206, he also designed a water-powered automaton orchestra that could float on a lake and provide music during parties. The contraption included a four-piece band—a harpist, a flautist and two drummers—accompanied by a crew of mechanical oarsman who “rowed” the musicians around the lake. The waterborne orchestra operated via a rotating drum with pegs that triggered levers to produce different sounds, and other elements allowed the musicians and crewmen to make realistic body movements. Since the pegs on the rotating drum system could be replaced to create different songs, some have argued Al-Jazari’s robot band was one of history’s first programmable computers. 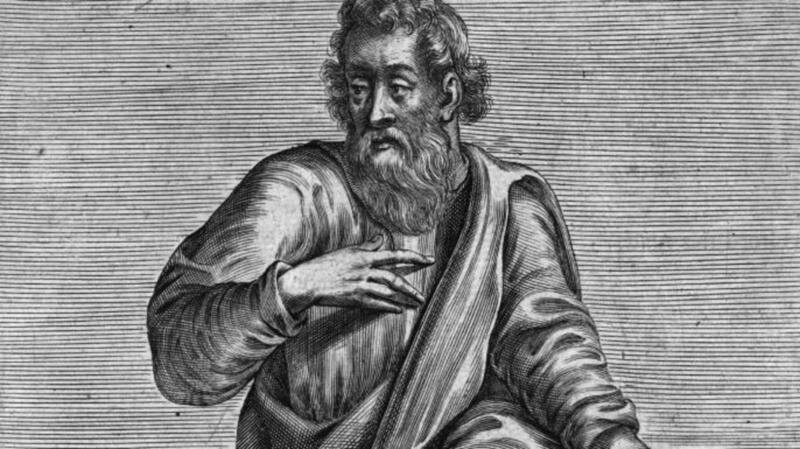 Archytas of Tarentum was a renowned mathematician and politician, but according to some ancient sources, he may also be the grandfather of robotics. 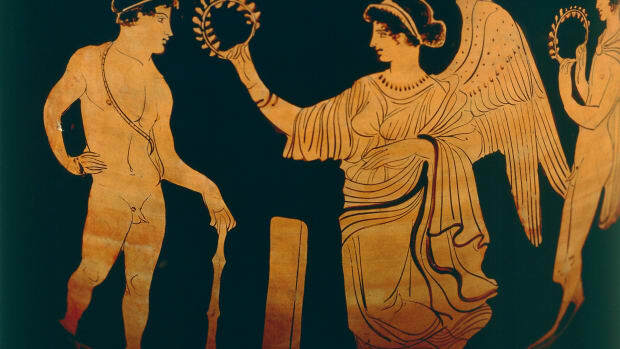 Sometime around 350 B.C., Archytas is said to have designed and built an air or steam-powered wooden dove that was capable of flapping its wings and flying through the air. No schematics or prototypes of the bird have survived to today, so modern scholars can only guess as to how it functioned. 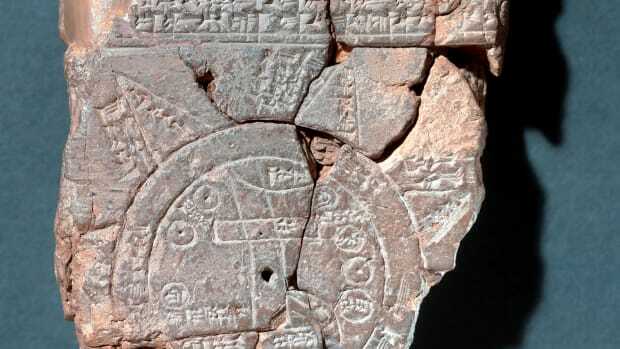 Most assume that the free flying dove described by the ancients was actually a hollow decoy filled with compressed air and connected to a pulley system. When the air was released, it may have caused the bird’s wings to flap and triggered a counterweight, which lifted the automaton from one perch to another and gave the impression of flight. While not as impressive as the ancient accounts—some of which claimed the bird could fly as far as 200 meters—such a device would still represent one of history’s earliest automatons. 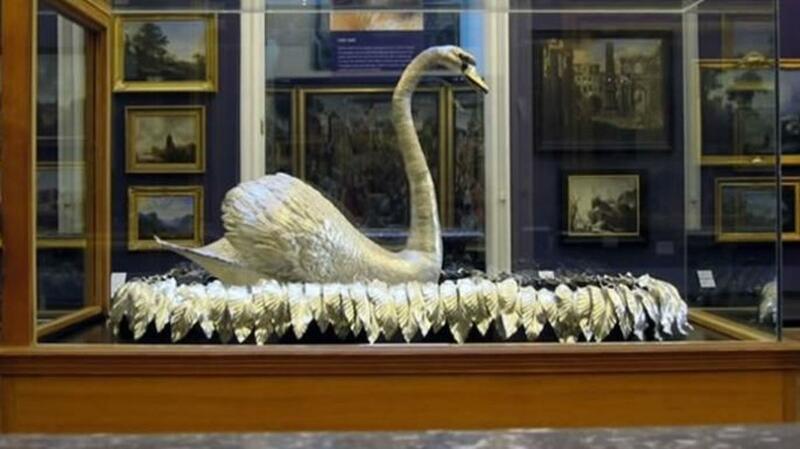 Silver Swan on display at England’s Bowes Museum. Swiss inventor Pierre Jaquet-Droz originally made his name as a designer of luxury watches, but he is now remembered as the creator of three of the 18th century’s most extraordinary automatons. First built in 1768, “The Writer” was a two-foot-tall doll designed to look like a boy sitting at a desk. Using a series of coded disks set on a spindle and thousands of moving parts, the robot could dip a goosefeather quill in an inkwell and write up to 40 pre-programmed characters on a sheet of paper. Along with his son, Henri-Louis, and an associate named Jean-Frédéric Leschot, Jaquet-Droz later developed two more early humanoid robots that worked on the same principle. 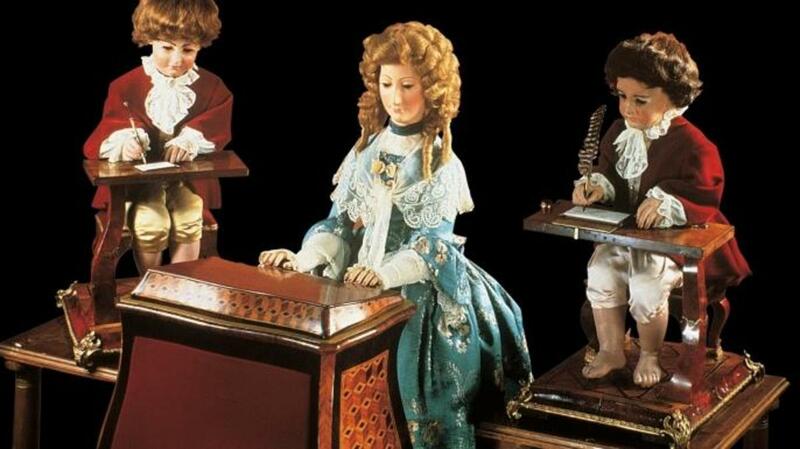 “The Draughtsman” used a pen to draw four pictures—including a portrait of King Louis XV—while “The Musician” played five different songs on a fully functional organ. Each of the robots’ eyes would move to follow their actions, and “The Musician” was also designed to heave her chest as she “breathed” and take a bow in between tunes. The Jaquet-Droz automatons were exhibited to astonished crowds in Europe’s royal courts in the late-18th century, and were later turned over to a museum in Switzerland. Amazingly, all three remain in perfect working order to this day.